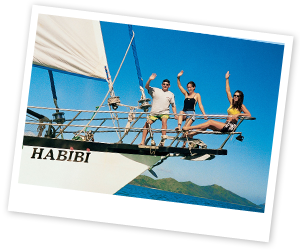 Happy Habibi operates a fun-filled, action-packed live-aboard 2 day / 2 night over 3 days sailing adventure cruise around the magnificent Whitsunday Islands, in the Great Barrier Reef Marine Park, Australia. 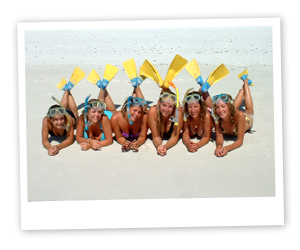 Habibi is especially geared towards the 18-35 year old market looking to explore the islands in comfort and in style, taking in the best coral reef snorkelling sites, pristine anchorage locations & world famous Whitehaven Beach. 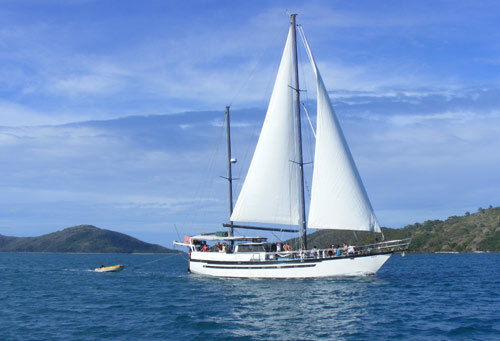 For a very affordable price, Habibi will take you on an adventure through the Whitsunday's by day and anchor in secluded coves and inlets so you can chillout and have fun under the stars at night. 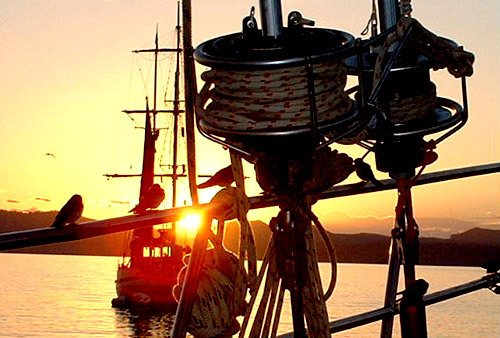 WHY CHOOSE TO SAIL ONBOARD HABIBI? 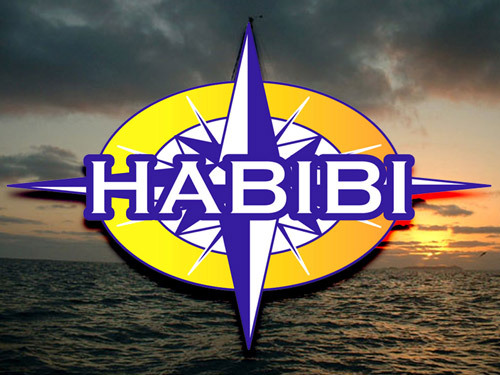 Habibi which incidentally means "My Darling" has been happily operating in the Whitsunday's for over 12 years and is guaranteed to be one of the key highlights of your trip to Australia. Comfortable and stylish, with craftsman built features, Habibi is spacious above and below deck, and is beautifully fitted with exotic timbers. 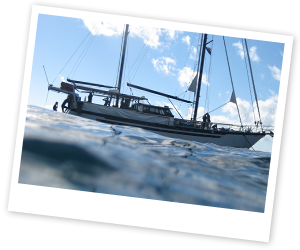 With private double and twin cabins, permanent shaded areas and heaps of deck room for sunbaking &, sleeping under the stars. Habibi's unique Alfresco galley is a social affair, where our guests can see first hand the mouth watering freshly prepared meals our crew whip up. From our great Aussie BBQ on the first night, (featuring tender steaks, giant snags (Aussie sausages), choice of yummy crispy salads and bread rolls), to cold meat platters, coleslaw's, potato, Indian rice and egg salads for lunch, to Italian pasta night, featuring delicious pasta sauce, garlic & herb breads and Italian salads, made just like Mama used to!, to fresh fruit salad, a choice of cereals, toast and jams for breakfast, to pre dinner chips & dips, pastries and bruschetta's, and not to forget chocolate cake and donuts for afternoon tea. Hmmm! 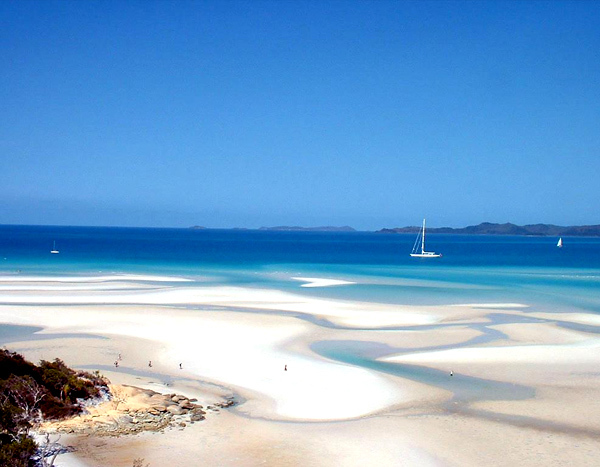 We are committed to maximizing your Whitsunday's sailing experience. 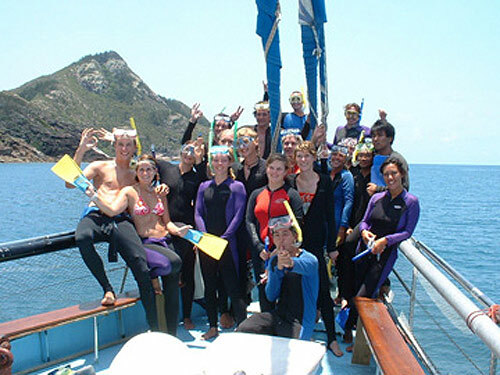 Many of our previous guests have said their 3 days onboard Habibi was the highlight of their whole Australian tour! 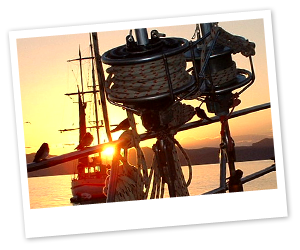 Get involved, hoist the sails and feel the boat come alive! 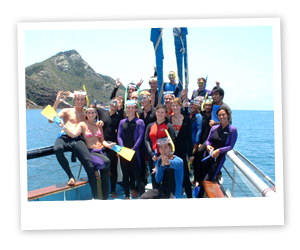 Many of our guests they have experienced their first snorkel onboard Habibi and ended up addicted to underworld sightseeing as a result! 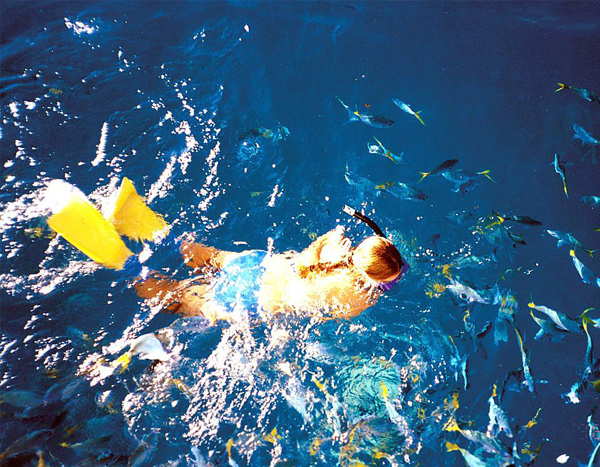 Our highly experienced crew will astound you with their knowledge and appreciation of the coral reefs and abundant fish life. 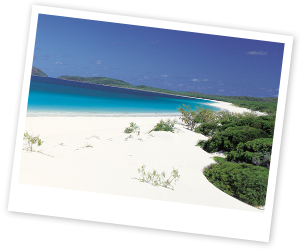 Our crew are up bright and early in the morning to ensure our guests can experience the best of the Whitsunday Islands, from visiting the most pristine snorkelling spots, to visiting deserted beaches, and secluded anchorages. Simply call us on 0418 78 2266 and have your credit card details ready. A SMALL soft bag - leave your backpack/suitcase at your hostel. A few changes of clothing - shorts, hat, t-shirt, warm pants and jumper for cool winters evenings. 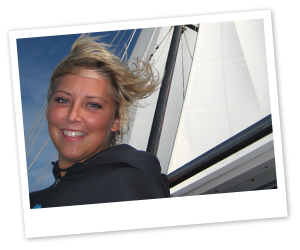 What are the extra costs for sailing? What is the style of accommodation? (*available at a small extra cost). Does the Habibi galley cater for special diets? Habibi may be hired for private charters and functions. 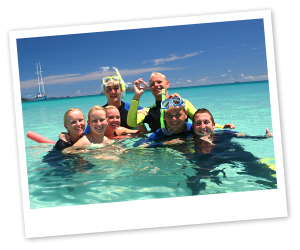 Whether it's a group of friends, wishing to take it easy for a few days, to university students wishing to learn more about the wonders of the Great Barrier Reef, to sports clubs, we will endeavour to perform all sorts of miracles for you. No More To Pay ! !